NAPSG Foundation’s Board of Directors is pleased to announce that David Alexander, Director, Geospatial Management Office, US Department of Homeland Security, has received the 2014 Award for Excellence in Public Safety GIS. 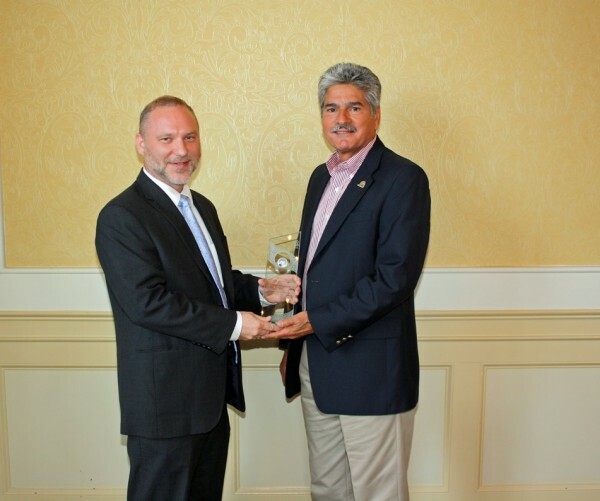 The award ceremony occurred at a joint NAPSG-NSGIC reception in Charleston, South Carolina. Photo of Chief Rand Napoli, NAPSG Chairman, and Mr. Alexander with award.